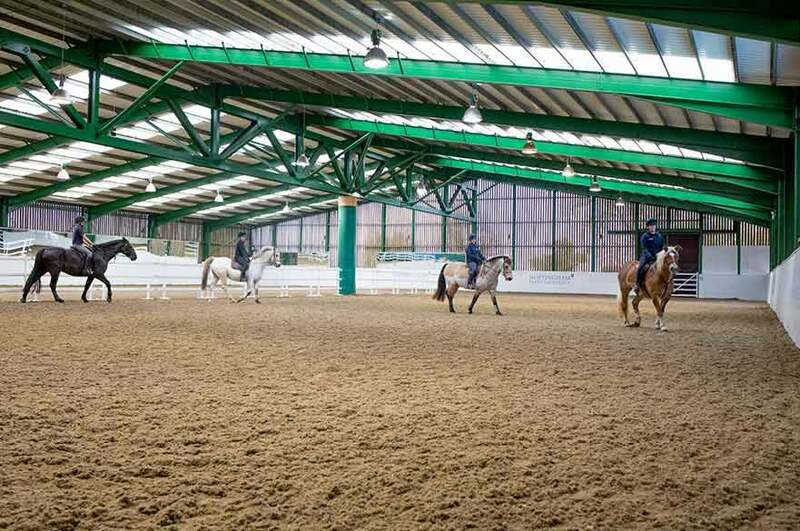 Our equestrian centre's many impressive facilities are an essential resource for you if you're studying on an equine course at our beautiful Brackenhurst Campus. The centre is a British Horse Society (BHS) approved training and livery establishment and also holds a full local authority riding school licence. 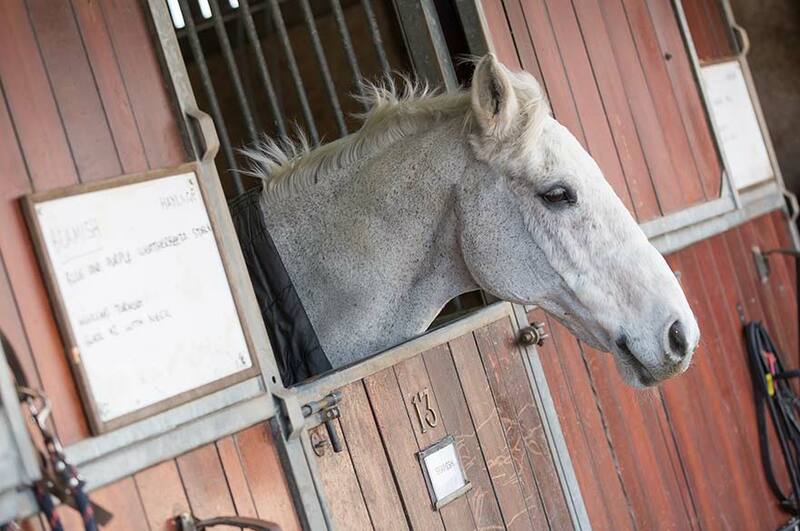 The Equestrian Centre takes some horses on a loan basis throughout the academic term. These horses are used for both riding and stable management education. There are limited spaced available and the horses are selected during the summer break before the start of term. All horses are continually assessed according to their temperament and ability. 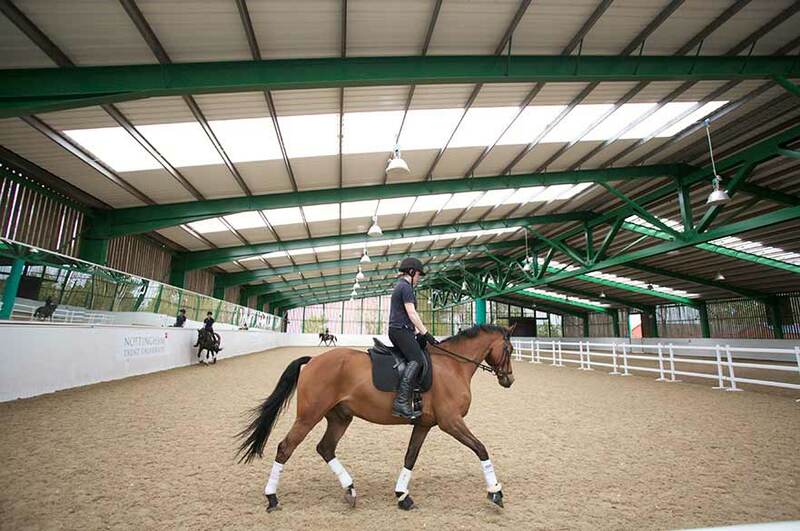 The Equestrian Centre takes some horses on a loan basis throughout the academic year. These horses are used for both riding and stable management education. There are limited spaces available and the horses are selected during the summer break before the start of term. All horses are continually assessed according to their temperament and ability. If you are interested in discussing this with us further, please contact our yard manager, Anna Gregory by telephone on +44 (0)115 848 8043 or via email. 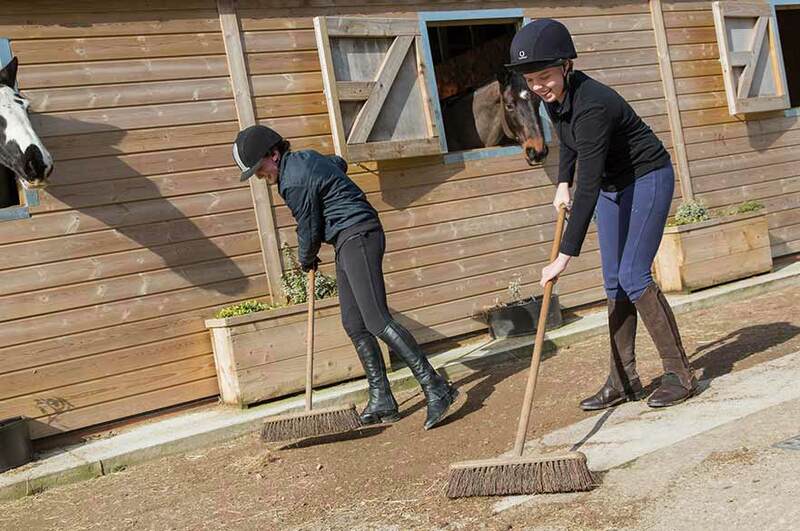 The Equestrian Centre is a British Horse Society (BHS) approved training and livery establishment and we also hold a full local authority riding school licence. Refurbished and re-launched by six time Olympian Mary King in 2012 this is 60 x 40 metres with a Prowax sand riding surface. It includes a seating gallery area capable of seating 279 people for events or to observe training and research in comfort. 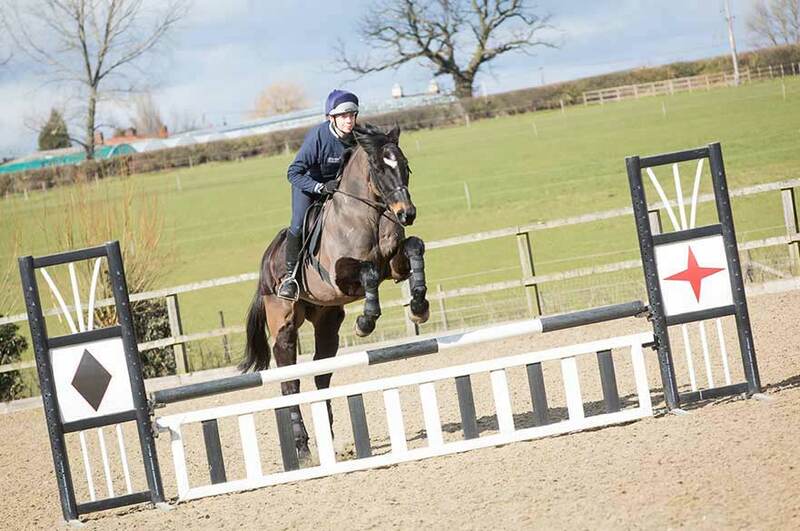 Indoor cross country jumps are available as well as a full range of show jumps and school barriers. The area accommodates two arenas during dressage training and for show jump training the course area allows plenty of room for smooth turns. The Mary King Arena is effectively used for research, allowing horses to be loose schooled. Our camera system records both training and research that can then be analysed using various software by both staff and students and viewed on our arena screens. Our outdoor riding school is 60 x 40 metres with waxed sand and fibre surface, enclosed by fencing and fully floodlit with a full range of show jumps and school barriers. Our research arena is 40 x 20 metres with a waxed sand surface. It is fully enclosed by seven foot fencing to allow loose schooling. Observation holes in the fence allow staff and students to observe the horse(s) from outside the arena to reduce any influence on natural behaviour. Our stabling has been developed with horse welfare firmly in mind. We have a variety of boxes to include individual stables, crew yards and combi barns all allowing excellent comparison for the welfare of the stabled horses. grazing paddocks with field shelters, a round pen and an all-weather surface area for working with the horses. Our Equestrian Centre classroom seats up to 24 students and has fully installed audio visual equipment. 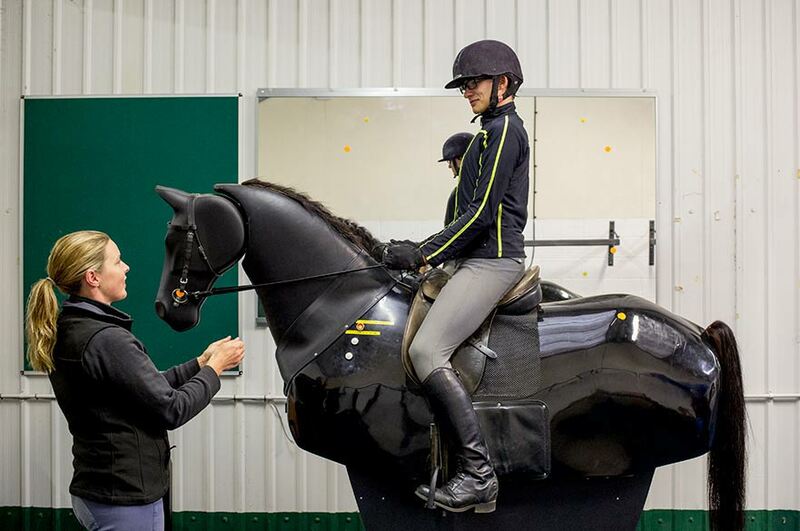 The Performance Analysis Room houses mechanical horse, iJoy Ride, Balimo Chair, Tekscan Pressure testing equipment and mirrors, all of which are utilised for clinics and workshops. The technical room includes computer equipment for student use during project work including use of research software such as Observer, OnTrack and Dartfish. This room can also be used for downloading data from cameras, heart rate monitors, mobile eye and other data collecting equipment. Both staff and students carry out significant research at the centre, often in collaboration with external partners. to investigate the horse-human relationship. Read more information about our research on our School pages. 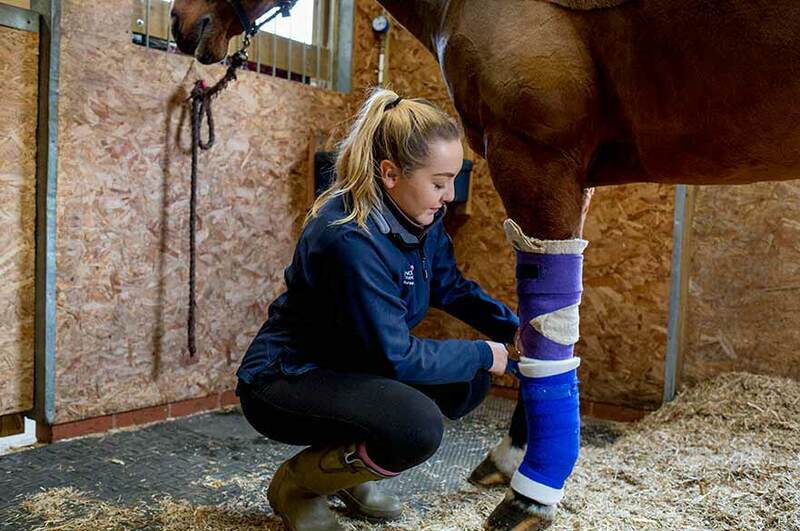 Find out more information about Brackenhurst Equestrian Centre, including student livery, on our Animal, Rural and Environmental Sciences pages.